..And I would like to guide you to this reality. We are all wonderfully individual, let’s celebrate that. We have different likes and dislikes.We are drawn to different approaches, in order to move ourselves forward and to feel better. All the tools in my kit.. work, so long as we commit to work with them. You may have preferences and I will be guided by what feels right for you. If you would like, I can advise on the approach I feel will most benefit you depending on your story. I’m looking forward to sharing these wonderful tools with you. In researching therapies that would support both my son’s and my healing journey I gathered a toolkit of practices that offer powerful release from emotional stress, physical stress and trauma, safely and effectively. I have found all these tools personally healing and I feel honoured to be able to share these with you. To date all clients have found great relief and liberation using them. I am a Certified Advanced TRE Practitioner and TRE Mentor. 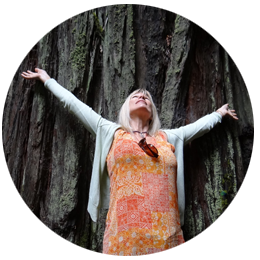 TRE® (Tension and Trauma Release Exercises) are simple comfortable but profoundly powerful practices that help us release trauma held in our bodies from the past whether it is emotional or physical. TRE was designed by Traumatologist Dr David Berceli PhD. For the past 25 years Dr Berceli has developed and safely used this methodology. He has taught many thousands of people from diverse cultural backgrounds throughout the world. TRE has provided relief in conflict zones and with large populations of survivors following natural disasters. TRE has proved effective for those who were experiencing or recovering from trauma, PTSD and its sometimes debilitating symptoms. TRE is reassuring and self-empowering. It can be equally effective in releasing everyday tension and stress. TRE reactivates our natural instinctive trauma release mechanism of tremoring and shaking. With our highly developed Prefrontal Cortex humans have misinterpreted and suppressed this shaking response, misunderstanding it as a sign of trauma rather than a release from trauma and so we have lost our instinctive re-boot.The result of the TRE is that we reactivate neurogenic tremors allowing us to naturally release the deep tension and emotions held in our tissues…….without having to talk about them or revisit them. Click here to find out more about the work of Dr David Berceli. I am an Accredited Advanced Level 3 EFT (Emotional Freedom Technique) Practitioner in Meridian Tapping Energy Psychology.I completed my advanced training under the tutorage of Professor Tony Stewart. Tony Stewart is a Professor in Public Health for the National Health Service and an NHS Consultant. He has achieved great success using EFT with patients presenting a wide range of emotional, physical and traumatic issues. Hatha Yoga and Meditation practices propped, strengthened and soothed me so completely that I wanted to pass their gift on to others. In 2012 I completed my two year Yoga Teacher Training course with the Devon School of Yoga tutored by Duncan Hulin and his inspirational group of tutors. I am now a member of the Independent Yoga Network. Since qualifying I have travelled to India to further my yoga journey. Taking a course in yoga and meditation at Phool Chatti Ashram in Rishikesh and studying at Sivananda Ashram Neyyar Dam in Kerala. In 2012 I studied with Dr Bo Forbes Clinical Psychologist and Yoga Therapist, this enabled me to understand more about how we hold emotional memories and traumas in our bodies. Our issues are in our tissues! In 2014 I qualified as a Relax and Renew Restorative Yoga Trainer under the tutorage of Judith Hanson Lasater and have been delighted to assist Judith on her Relax and Renew courses in London. Restorative Yoga is deeply nurturing, it holds you and cherishes the precious being that you are. And in that cocoon of rest it brings you back to who you were and opens your mind and body to a place of deep calm. I am passionate about the therapeutic benefits of Yoga Nidra. Having experienced profound restorative peace during an iRest retreat with James Reeves in 2013, it led me to complete Richard Miller’s iRest Level One training in 2013. I was deeply touched by the practice and its profound healing potential. I then completed my Total Yoga Nidra teacher training through the Yoga Campus with Uma Dinsmore Tuli and Nirlipta Tuli.Total Yoga Nidra has expanded my understand of the many aspects of this powerful technique. As I mentioned at the beginning of this intro, my son Matthew has autism, but what defines him is not that label, it is his dear nature, his warmth, his humour and his presence. Matthew has enjoyed all the tools in my kit and his inner intuition knew that these therapies would help him crack the code of being human. I think he’s spot on. So… thank you my dear son for leading me to such a place of peace and smiles.